Oh, dear. I've had to Google "tarot card reading Sydney" and now the internet thinks I'm an idiot. My browser's advertising algorithm has stopped hawking MacGyver box sets in favour of a Townsville psychic expo and the healing power of crystals. It's even worse than the time my brother-in-law spent Christmas Day watching Adam Sandler movies on my Netflix account. No, I would not like to watch Nutty Professor II based on my viewing history. I wanted to know how much a standard tarot session costs to understand the value patrons are getting with a free card reading by the Employees Only resident psychic. (Yes, this is a bar with its own fortune teller.) It turns out a standard tarot reading is $50 which means you can buy two $25 Employees Only signature Manhattans with any money saved on soothsaying. Very good. Employees Only opened late November in that thoroughfare near Martin Place gargoyled by the spooky Children of the Corn statue of a kid in a hoodie. The heritage-listed basement is home to white-jacketed bartenders, plush banquettes and a candle-lit seance room because why not? There are lockers equipped with phone-charging stations and a fair whack of money has been spent on a beautifully tiled bar, glass pendants and much green velvet. Speakers pump the Beatles, Creedence and Traveling Wilburys and supper is served until a very civilised 2.30am six nights a week. The original Employees Only was co-founded in New York by Dushan Zaric and a few industry mates in 2004 as a place of late-night refuge for hospitality workers and anyone else who fancied a stress-free drink. 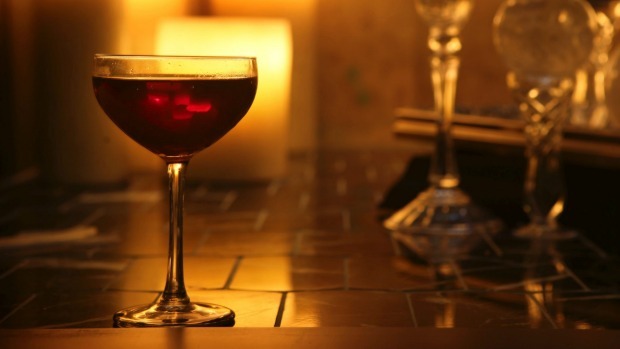 A leader in the modern speakeasy movement, the West Village boozer was named world's best bar at the 2011 Tales of the Cocktail Spirited Awards – essentially the Oscars for gin joints. Zaric, who speaks passionately about the art of hospitality, is in town to oversee the opening of the Employees Only's Sydney outpost (other branches exist in Singapore, Hong Kong, Los Angeles and Miami). 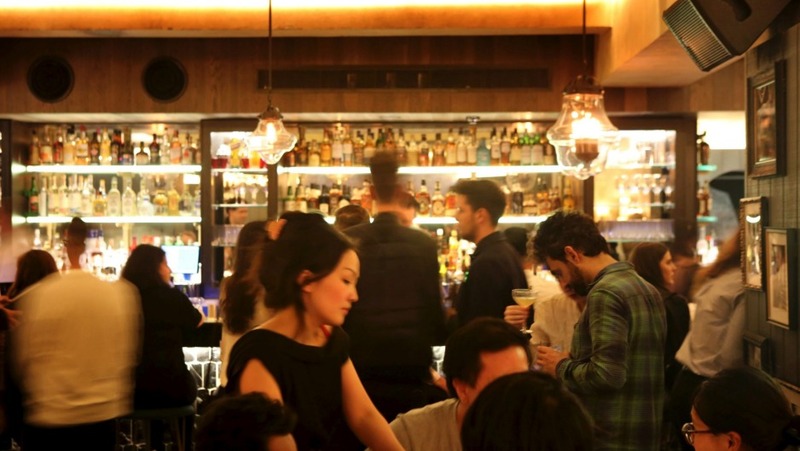 He hopes the venture will bring a different level of late-night service to the CBD that complements existing bars. "We're not here to create competition," he says. "I find competition is only a word people use when things don't go the way they planned." So for all the hype, tarot cards and George Harrison tunes, is this actually a good bar? My sweet lord, I can confirm it is. Key to its success is the lightning-quick skills of principal bartender Robert Krueger, a member of the Employees Only family for 12 years and stationed in Sydney for at least 12 months. He's a bloke who thrives when the bar's being rammed – the more complex the order, the more fun he looks to be having. It's an enthusiasm channelled by other bartenders Chris Garner, Lou Dare and Dula Lorensuhewa. That $25 Manhattan is a dangerously smooth doozy, based on a recipe published in Jerry Thomas' How to Mix Drinks in 1862. Roughly equal parts rye and sweet vermouth stirred with a splash of Grand Mariner and three dashes of Angostura, it's served bracingly cold with pride and a twist. The signature Amelia ($22) is smoother again, featuring Wyborowa vodka and St-Germain shaken with lemon and pureed blackberries. If you're after an oyster pairing that isn't a martini or Krug, the Common Sense ($22) prevails with blended malt whisky enlivened by white vermouth, averna and a hint of chocolate bitters. With all respect to City Extra, I don't think you'll find a better place for steak and chips in the CBD at 2am. Thirty-six dollars will score you a hanger steak, matchstick fries and cafe de Paris butter. Hand-cut steak tartare ($24) is something of an Employees Only classic, mixed tableside and served with extra Worcestershire if needed but the seasoning is already bang-on. Other signatures from the late-night menu include lamb cutlets wrapped in pancetta ($12 each) and poppers (read: $7.50 vol-au-vents) filled with rich bordelaise sauce and topped with bone marrow. Both snacks feel dated in the Year of the Katsu, but they're also bloody delicious, so trends be damned. A more expansive Euro-leaning menu is available until 11pm and I'm chuffed with house-made cotechino and cavatelli bouncing about in a fruity tomato sauce ($31). It's a swell little supper, especially when partnered with Bannockburn's racy 1314 AD 2017 Pinot Noir ($20/$80) from the short globe-trotting wine list. This is a cocktail joint you can use as a restaurant, too. Employees Only's future is a thing of mystery. Will it kickstart a new wave of late-night CBD bars? Or shutter as soon as cashed-up millennials move on to the next shiny thing? 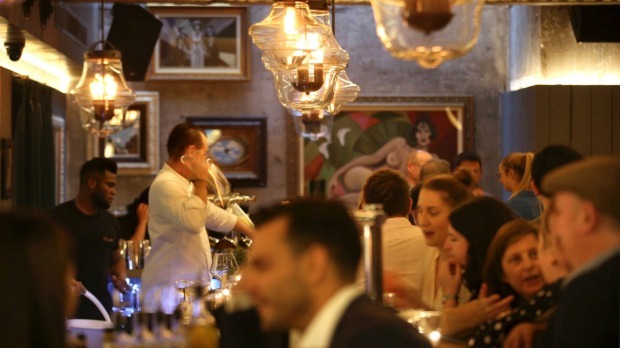 Sydney's fluctuating tastes and licensing laws make it impossible to speculate. The only question I'm asking right now is "When will I return to sit at this very handsome bar with New York vibes, linen napkins and Creedence Clearwater Revival?". I don't need tarot cards to tell me it will be very, very soon. If you only drink one thing: Manhattan ($25). 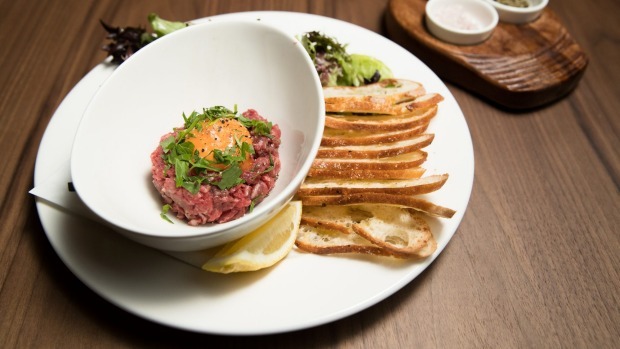 If you only eat one thing: Steak tartare ($24).